Update posted April 7, 2014: Seating in the First UMC sanctuary where Rev. Adam Hamilton will be speaking has been booked. Registration for a live stream video of the presentation in the church's contemporary worship center is available. Click here for information. Orlando is one of only six locations to be included in Hamilton’s book tour after he put out a call for hosts on his Facebook page in January. Other sites will be Washington, D.C.; Atlanta; Dallas-Fort Worth, Texas; Denver; and Kansas City, where he is the senior pastor of the Church of the Resurrection in Leawood, Kansas, the largest United Methodist church in the U.S. The Florida Conference, East Central District and First UMC, Orlando, are hosting his visit here, with the hope that United Methodists from all over the state will attend. “Adam Hamilton is one of the most significant voices in American Christianity today, and the Bible is one of the most misunderstood books, within the church and certainly beyond it,” said Florida Bishop Ken Carter. “This is an extraordinary opportunity for United Methodists in Florida." 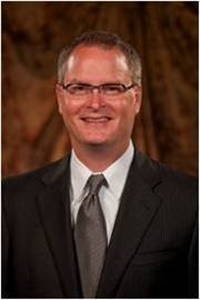 In email comments to Florida Conference Connection, Hamilton said hotly debated topics in the church recently stem from interpretations of the Bible. 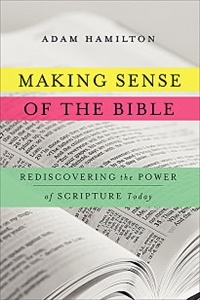 “My new book was written to promote a conversation in the church about what we believe about the Bible, our assumptions or theology of scripture,” Hamilton said. The Orlando venue will accommodate up to 1,100, and about 770 people had reserved free seats by late last week, said Janet Kelley, who is coordinating the event for the East Central District. Admission is free, but registration is required. Click here to sign up. What is the Bible, and what is it not? How, when and why was it written? Who decided what books made it into the Bible? There will also be questions related to biblical inspiration, inerrancy and the sense in which the Bible reflects the words of God and/or the words of people. Why is there so much violence in the Old Testament? Hamilton also anticipates questions about the Bible and homosexuality. He said that the new book looks at questions his church members have asked over the last 24 years when they’ve come across things in the Bible that confuse them. The pastor confessed that he’s excited to be coming to Florida’s tourist hub, although he won’t be going to Walt Disney World on this trip. He said that he has a new granddaughter, just a week old. The evening will end with an opportunity for questions and answers and a book signing by the author. A display of Hamilton's books, including this new title, will be open before and after the presentation. Those who wish to buy the book in advance and be at the head of the book signing line can make their purchase by clicking here. For information, call 386-259-5756, ext. 5, or email flumc-ec@flumc.org.